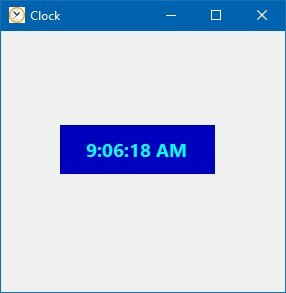 To create a clock, you need to use the Timer control that comes with Visual Basic 2008. The Timer control is a control object that is only used by the developer, it is invisible during runtime and it does not allow the user to interact with it. First of all, start a new project in Visual Basic 2008 and select a new Windows Application. You can give the project any name you wish, we named it MyClock. Change the caption of the Form1 to MyClock in the properties window. Now add the Timer control to the form by dragging it from the control tool Box. Next, insert a label control into the form. Change the Font size of the label to 14 or any size you wish, and set the Font alignment to be the middle center. Lastly, you shall also set the Interval property of the Timer control to 1000, which reflects a one-second interval(1 unit is 1 millisecond). We can create a stopwatch using the Timer control. 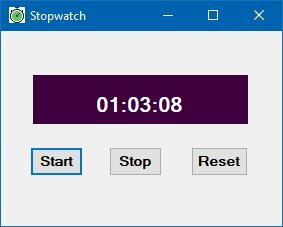 Start a new project and name it stopwatch. Change the Form1 caption to Stopwatch. Insert the Timer control into the form and set its interval to 100 which is equal to 0.1 second. Besides, set the timer Enabled property to False so that it will not start ticking when the program is started. Insert three command buttons and change their names to BtnStart, BtnStop and BtnReset respectively. Change their text to “Start”, “Stop” and “Reset” accordingly. LblDisplay.Text = "00" + ":" + "00" + ":" + "00"
so that the stopwatch display the 00:00:00 format on start up. We use a nested If statements to control the tenth second output, the second output and the minute output. 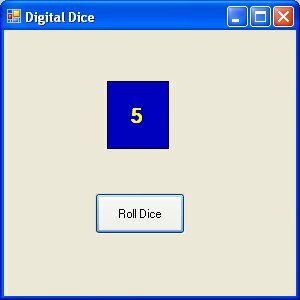 generates integers from 1 to 6 randomly. In the code, we introduce the variable m to control the length of time of the rolling process. If m is more than 1000, then the rolling process will stop by setting the timer enabled property to False.